Pelenna Patchworks: New in - Alison's Flowers fabric by Makower's Henley Studio! New in - Alison's Flowers fabric by Makower's Henley Studio! 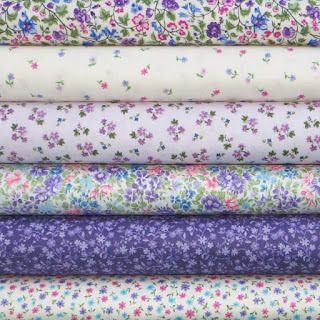 We've stocked up our floral fabrics this week with the addition of 6 fabrics from the Alison's Flowers fabric range by Makower's Henley Studio - hand painted, ditsy florals in lilac, blue and pink perfect to pretty up your home!